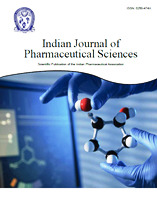 The aim of this study was to increase the water solubility of tosufloxacin tosylate by inclusion with hydroxypropyl-β-cyclodextrin. The tosufloxacin tosylate/hydroxypropyl-β-cyclodextrin inclusion complex was characterized by differential scanning calorimetry, powder X-ray diffractometry, and scanning electron microscopy. Fourier-transform infrared spectroscopy, nuclear magnetic resonance and 2D ROSEY were used to identify the interaction of tosufloxacin tosylate and hydroxypropyl-β-cyclodextrin. Results obtained confirmed the formation of tosufloxacin tosylate/ hydroxypropyl-β-cyclodextrin inclusion complex. In addition, the dissolution and stability of the complex was also evaluated, which indicated that the water solubility and stability of tosufloxacin tosylate were significantly increased in the presence of hydroxypropyl-β-cyclodextrin. Furthermore, dissolution assay showed that the dissolution of tosufloxacin tosylate/hydroxypropyl-β-cyclodextrin inclusion complex was higher than that of a physical mixture or tosufloxacin tosylate alone. These results demonstrated that hydroxypropyl-β-cyclodextrin could be potentially beneficial in the delivery of water-insoluble tosufloxacin tosylate.